Wayne UNC Health Care, part of the UNC Health System, is currently recruiting for experienced BC/BE daytime hospitalists and nocturnists to join our growing Hospital Medicine program in Goldsboro, NC. Affiliated with UNC REX Healthcare, these positions involve delivering high-quality, team-based inpatient services. We offer a highly competitive compensation package and benefits including sign-on bonus, quality bonus, CME, retirement plan and malpractice coverage. Wayne Memorial Hospital is a 316-bed community, not-for-profit hospital, which has been serving residents in Wayne County and surrounding areas for 120 years. With 1,700 employees and more than 150 physicians, our mission is to provide quality healthcare services through the compassionate hands of well-trained staff in a technologically advanced, cost-effective manner. We are dedicated to maintaining this reputation thanks to our outstanding employees, physicians, volunteers and management team. Each and every member of our team is committed to excellence, striving to be the best hospital in Wayne County. 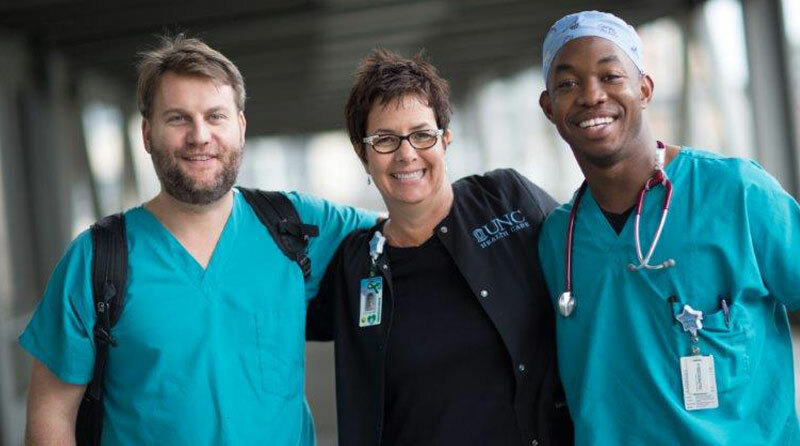 When you pursue a career at Wayne UNC Health Care, you'll be part of our award-winning team in an environment that emphasizes respect and innovation. Wayne UNC Health Care is headquartered in Goldsboro, NC, located one hour east of Raleigh, the vibrant state capital, and less than two hours from the NC coast. We have great weather, a welcoming community, an energized downtown and a low cost of living. It’s a mid-sized town with easy access to a city lifestyle and a community hospital that’s part of one of the country’s top-rated health care systems, UNC Health System. Graduate of an approved school of medicine and board certified or board eligible.